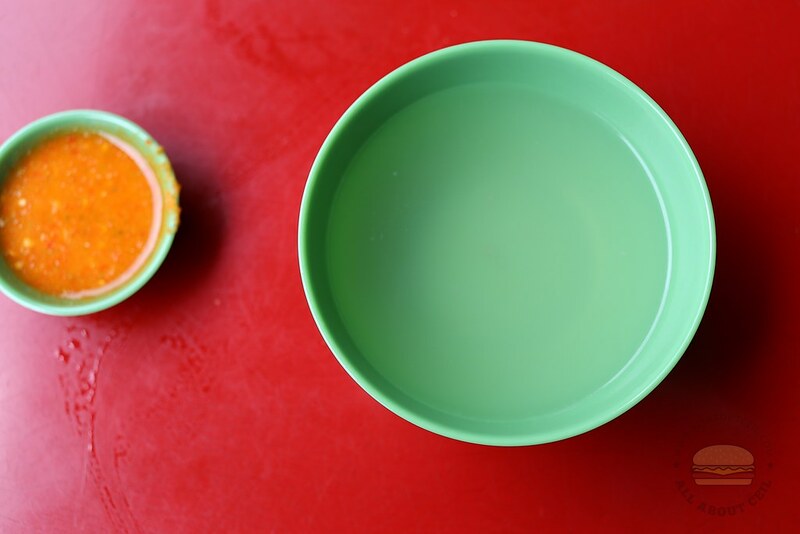 The stall is started in March 2018 by John and Fran, a couple, to introduce the well-loved Penang hawker fare to Singapore. 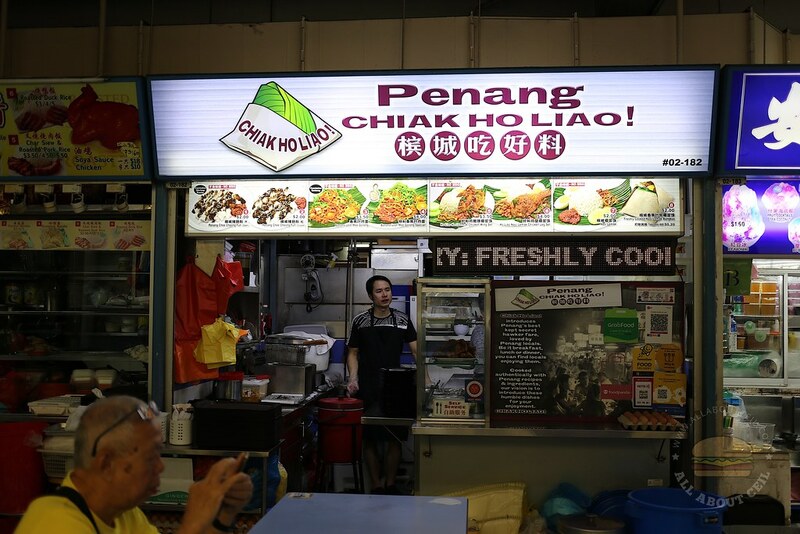 "Chiak Ho Liao" is in Hokkien, it literally means "eat good food". 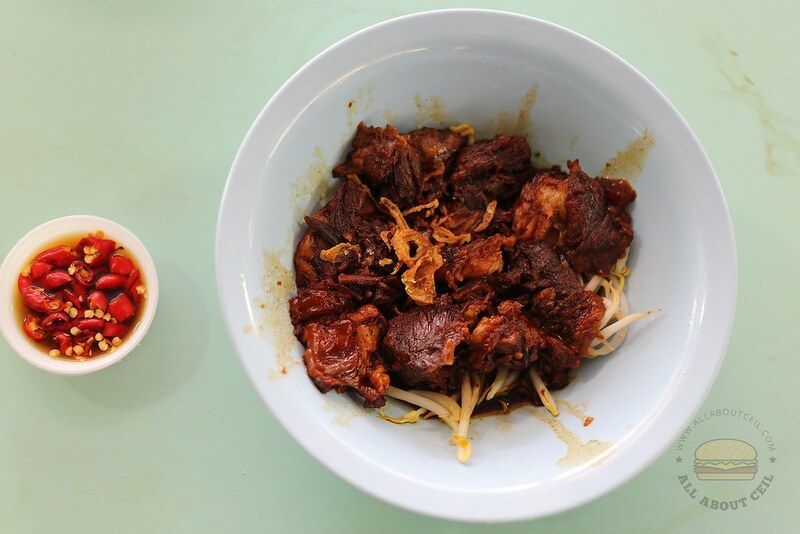 They strive to create every dish as close as possible to the ones offered back in Penang to preserve the authenticity of these dishes as indicated on their Facebook page. 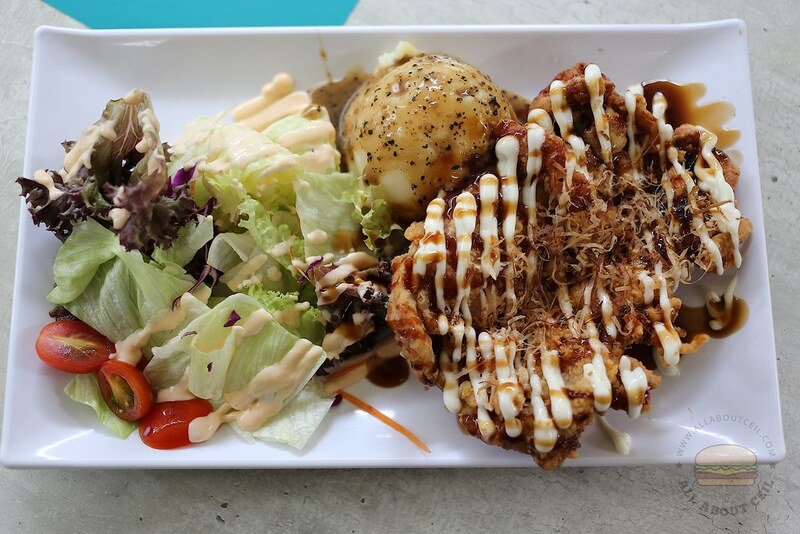 There are 3 types of comfort dishes serve on the menu, the Chee Cheong Fun, Banana Leaf Mee Goreng and Nasi Lemak. 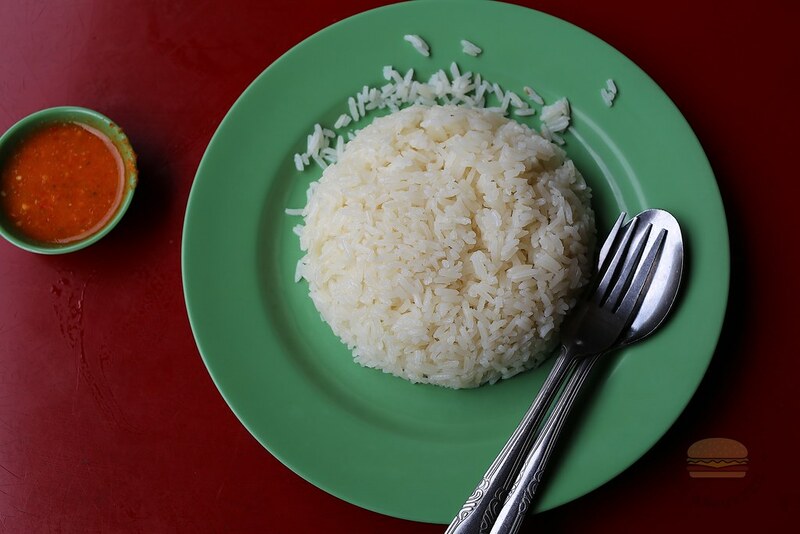 These are the usual favorites that Penangnites love to have for breakfast, lunch, and dinner. Their main ingredients are imported from Penang and it is cooked to order. 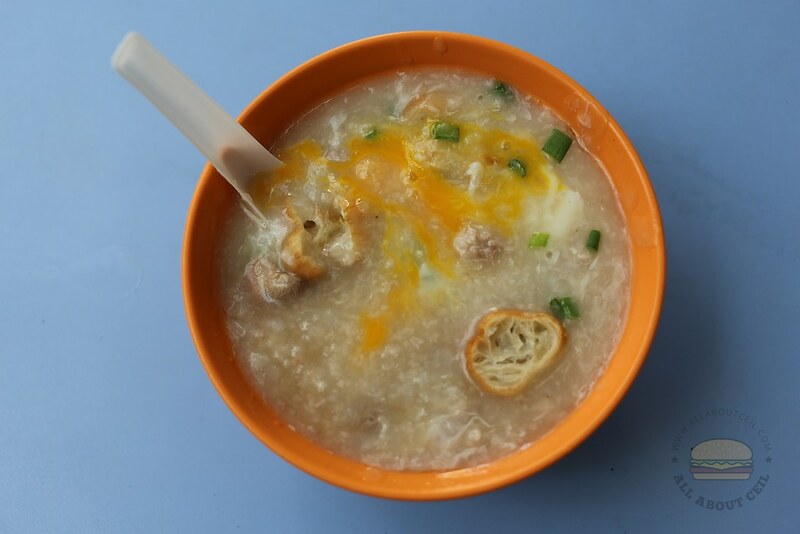 Most of their customers are from Penang and attested its authenticity, calling it a taste of home away from home. I decided to try the Banana Leaf Mee Goreng. I was there at about 11 am and there was just another customer before me. Fran, the friendly lady boss asked, "You want it with or without sotong?" and I replied, "With Sotong." The difference in price is $0.50, without sotong is $3.50 and with sotong is $4.00. She also asked, "How spicy do you want it to be? medium or spicier?" I answered, "I do not know how spicy is the chilli. I am able to take spiciness though." She said, "I will give it slightly spicier. Do you want to add anything else?" And, I replied, "Chicken drumstick." I waited there for it to be ready. Fran started stir-frying it and it was done in about 5 minutes. When handed the plate of noodles to me, she said, "Please bring back the fork and spoon, throw it into the blue bin after you finished eating." 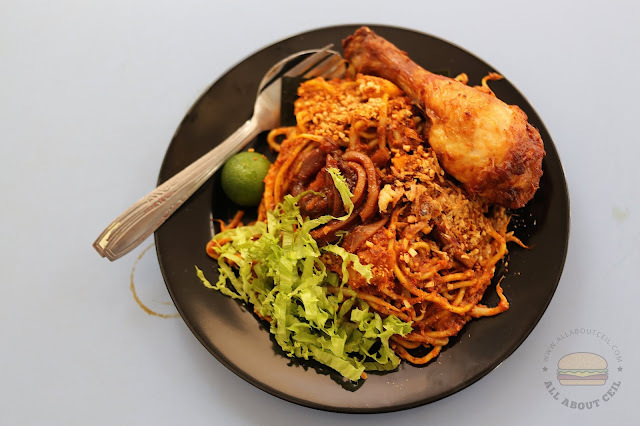 This Penang style Mee Goreng is different from the local style Mee Goreng, it is a common dish to be found in almost every part of Penang, usually prepared by Mamak, a term used by Indian-Muslims which means Uncle. It was moist though did not taste as spicy as expected to be but there was a spicy, lingering aftertaste. As it was mentioned on their Facebook page that the sotong is specially imported from Penang. It is not the fresh sotong but the dried cuttlefish that is used to cook Sambal Sotong Kering, a common dish in Penang before serving on top of those reddish noodles for an added flavor and texture. 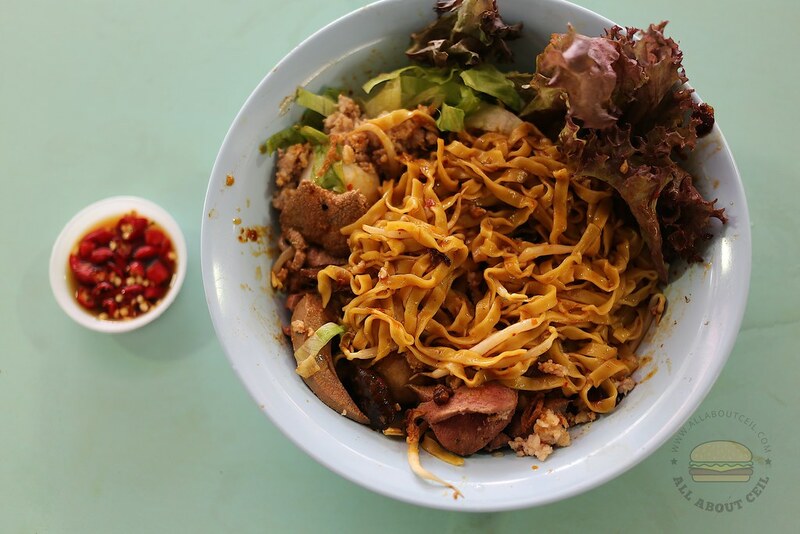 It consists of yellow noodles with bean sprouts, potatoes, tau kwa stir-fried in the mixture of tomato ketchup, chilli paste and dark soya sauce then garnished with shredded lettuce and grounded peanuts together with a lime. Though it might not be as good as that famous Mee Goreng at Bangkok Lane in Penang, there was a certain similarity. This is likely to be the only Penang style Mee Goreng in Singapore. The fried chicken is marinated overnight with 12 different herbs and spices as mentioned on their Facebook page. It was then fried well to perfection. It did not have a thick coat of batter but it still tasted crispy with a hint of lemongrass. The couple is passionate about their dishes and it is cooked with heart. I am likely to come back for their Chee Cheong Fun and Nasi Lemak. 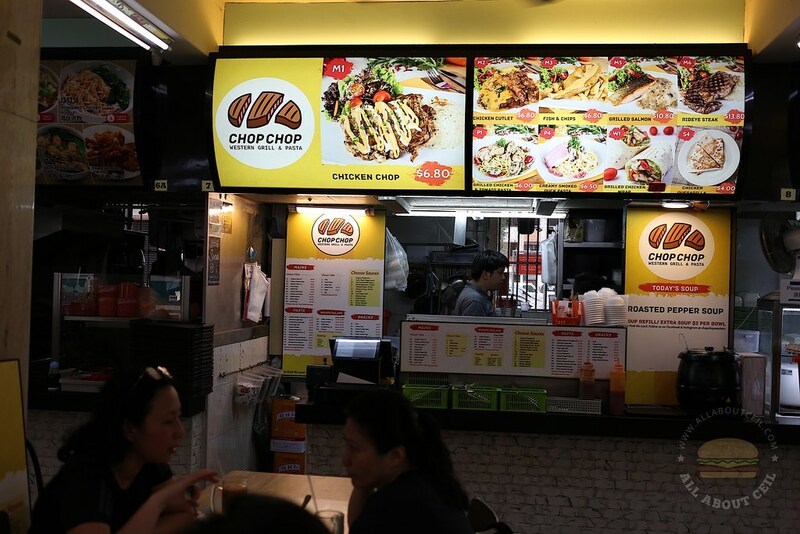 A friend told me about the Bak Chor Mee from this particular stall and it reminded him of the already closed Joo Heng Mushroom Minced Pork Mee at AMK 628 Food Centre when he first tried it. The stall is manned by an Auntie solely. She looked up while cooking and asked for my order. I told her that I wanted the larger portion of Mushroom Minced Pork Noodle ($3/$4) with additional braised mushroom and liver for $6. There were another 2 customers in front of me and both of them ordered the Pork Ribs Noodle ($3/$5). I decided to order a portion of Pork Ribs for $3 and I asked to have it served separately. 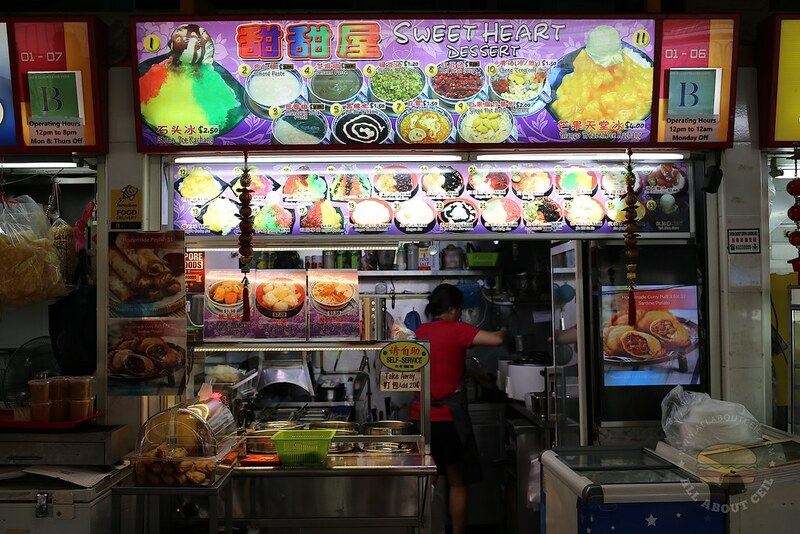 There are also choices of Fishball Noodle ($2.50/$3.00) and Mini Pot Noodle ($4/$5). I opted to have it with mee pok. While waiting for my order to be ready, I said, "A friend recommended your Bak Chor Mee so I travelled from Ang Mo Kio to here. He mentioned that the liver is nicely cooked. Most stalls usually sliced it too thin and cooked it for too long so it is not nice." I asked, "What time do you usually closed?" She replied, "I usually close around 2 pm but often earlier on weekends." She also said, "I am here as early as 4 am to start the preparation so I can open at 7 am. My husband usually sends me here from Seng Kang and he will come over to fetch me when I am done." She continued to say, "This stall is handed down to me and it has been around for more than 20 years." It tasted close to Joo Heng Mushroom Minced Pork Mee but not as saucy. I will try having it with extra chilli next time. 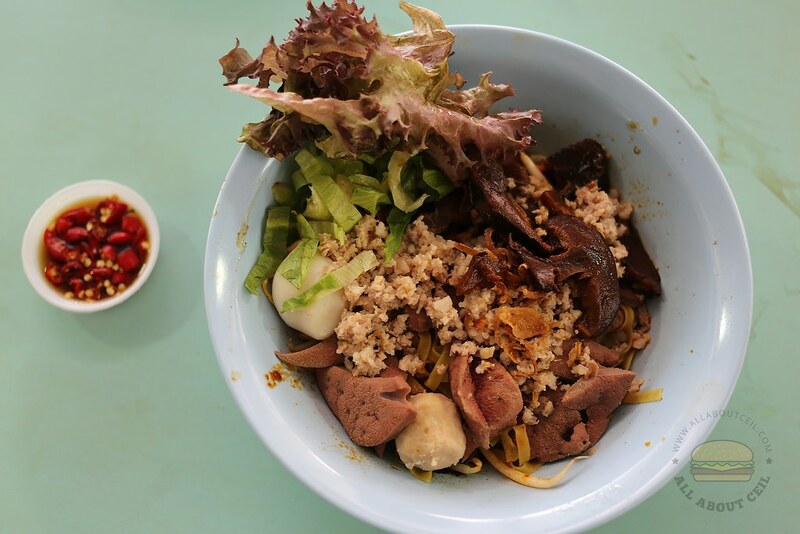 The perfectly cooked noodles were served with minced meat, fishball, liver, braised mushroom and a handful of bean sprouts, topped it with some shredded lettuce and red leaf lettuce. My dining companion said, "Wow, they actually served it with the "atas" lettuce that normally uses for salad, this is quite unusual." He then took a mouthful, nodded his head and said, "This is nice." I particularly enjoyed the braised mushroom and liver. The pork ribs were soft and it was served with branched beansprouts. 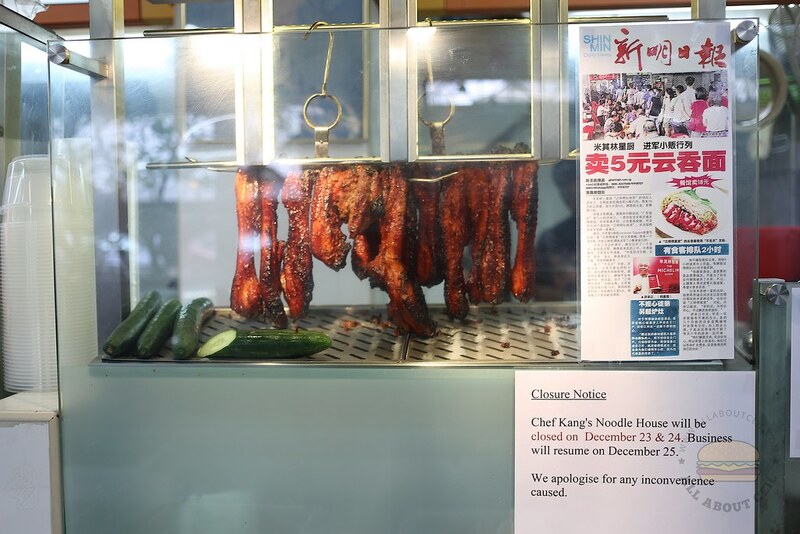 My dining companion said, "I took notice that most of their customers actually ordered the Pork Ribs Noodle when I was here the previous times." It was also served along with a bowl of lightly flavored soup that garnished with chopped spring onions. Though not as popular but this is definitely better than the Lai Heng Mushroom Minced Meat Noodle. The best thing is I do not have to wait for 45 minutes just to eat it. 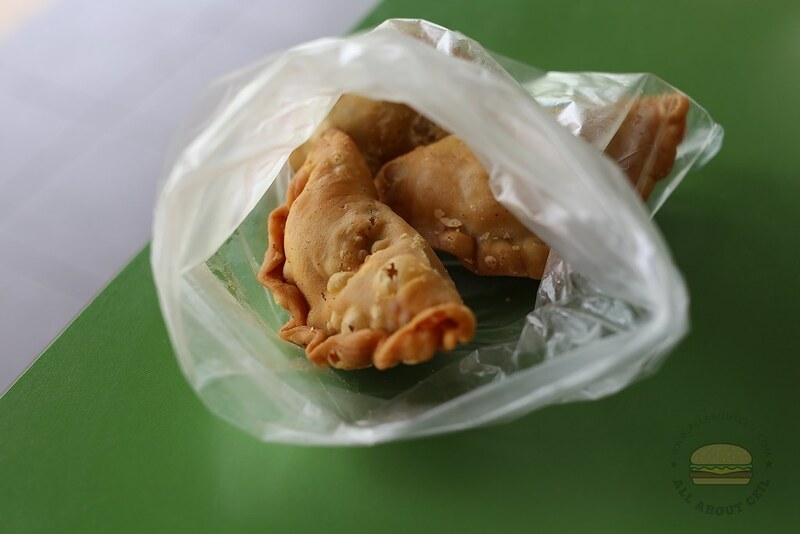 A friend recommended the Sardine Puff and Curry Puff from a dessert stall at Toa Payoh Lorong 5 Food Centre. He did not recommend any of those desserts on the menu but just the puffs. I was there at about 1 pm on a Friday but the Sardine Puff have already sold out, left with the Potato Puff and Fried Popiah. 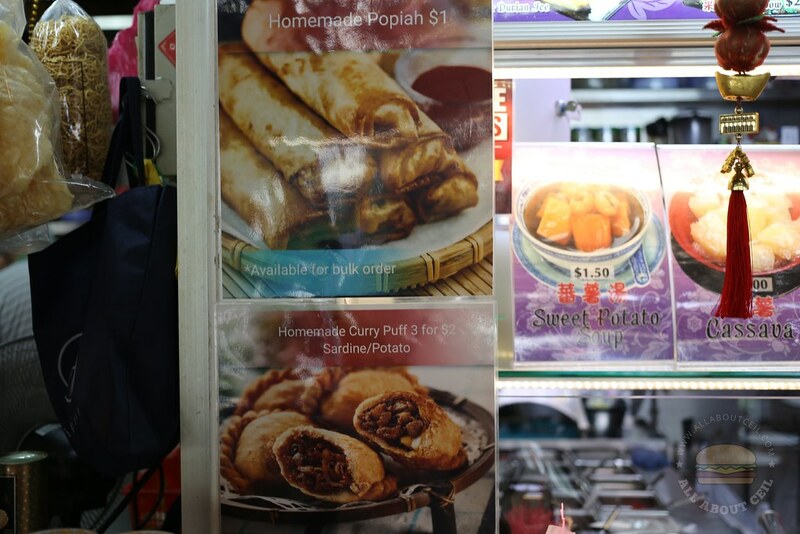 The homemade Curry Puff and Sardine Puff are 3 pieces for $2, the homemade Popiah is $1 each. I was asked to self-service when the lady noticed me. I took 3 Potato Puffs and 1 Popiah for $3.00. The same friend mentioned that Sardine Puff is actually much better. My dining companion took a bite of the Potato Puff and he nodded his head, said, "This is simple and nice. It tasted warm and the crust was crispy." 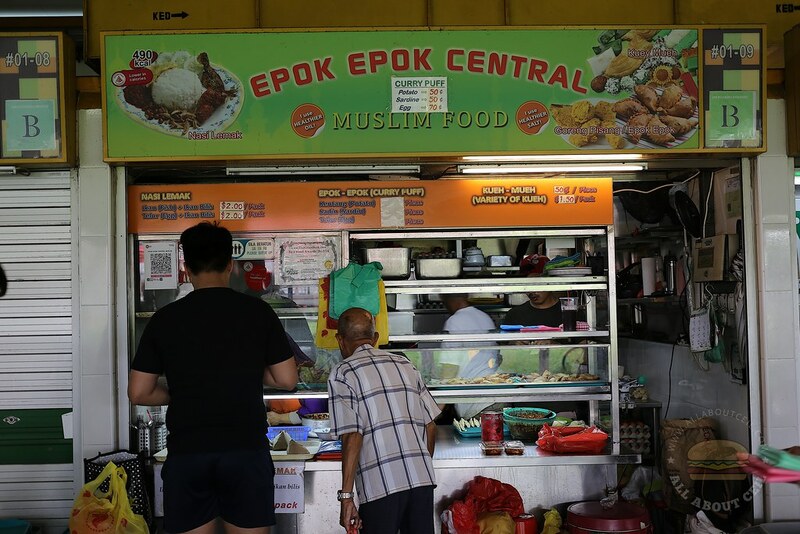 He actually prefers this to those by Epok Epok Central at Eunos Crescent Food Centre. This is easily one of the better Potato Puff that I have eaten. It does not need to have egg or some fanciful fillings, this is good enough for me. I went back for the Sardine Puff today. There were some left at 1.30 pm and also some Potato Puffs but no more popiah. I decided to go with 3 Sardine Puffs and 3 Potato Puffs. There were some customers ordering their hot desserts at that time. My dining companion took a bite of the Sardine Puff and said, "I still prefer the Potato Puff a bit more. The puff is value for money though, it is packed with sardine filling. I do not think you can get another at this price elsewhere." 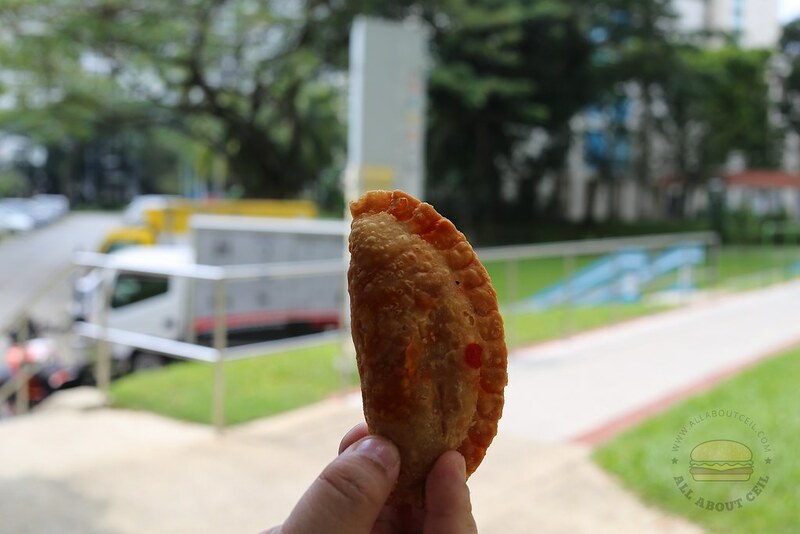 I actually liked the Sardine Puff though, the filling was generous with a very mild spiciness, which is nice. 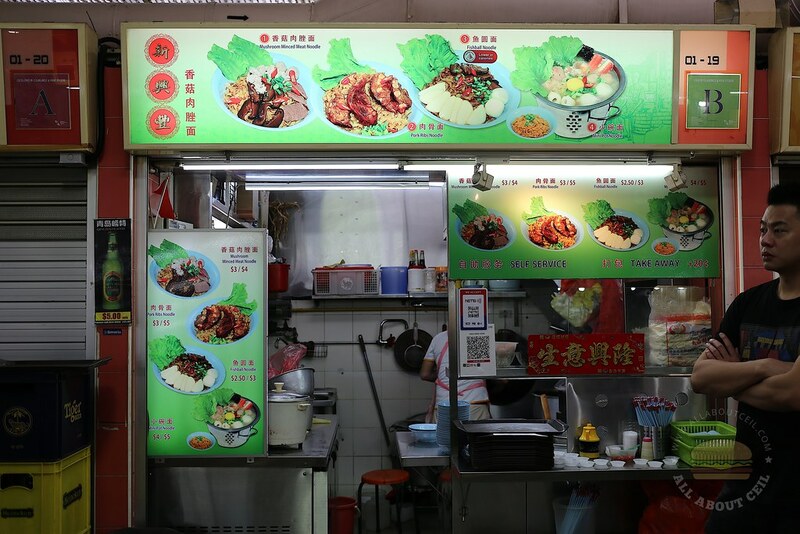 This stall does not have an English name, the direct translation from 海鲜之家 is likely to be Seafood House. 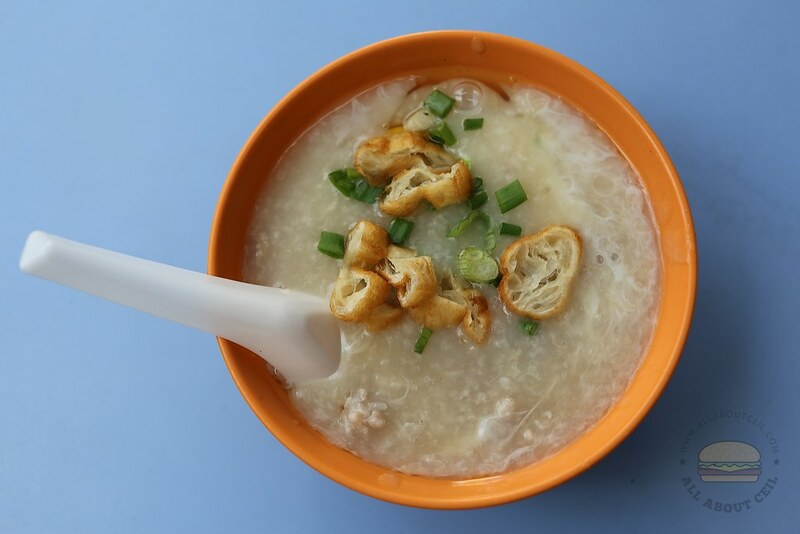 It was established in 2010 and is known for serving sliced fish soup. 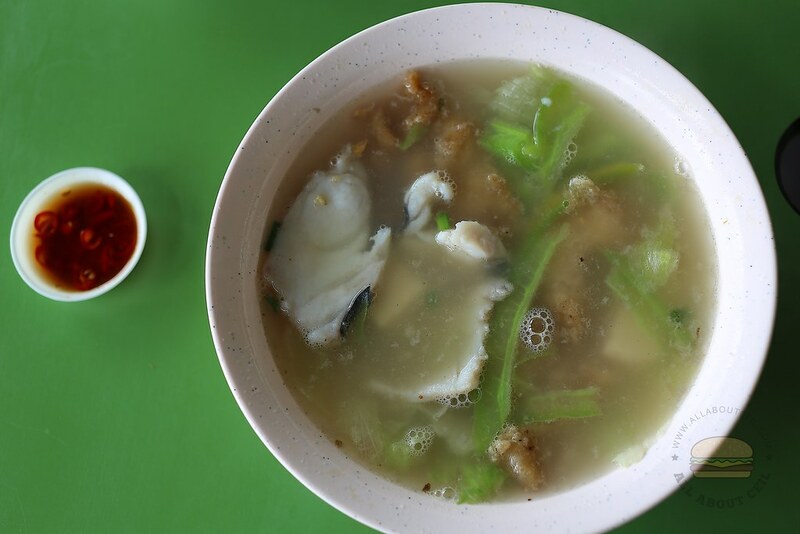 It has recently awarded as one of the winners in SG Food Masters by Singapore Press Holdings (SPH) for their Fish Soup. The lady boss originates from China and is running the stall with her Singaporean husband. There was no queue when I was there on a Sunday for lunch. 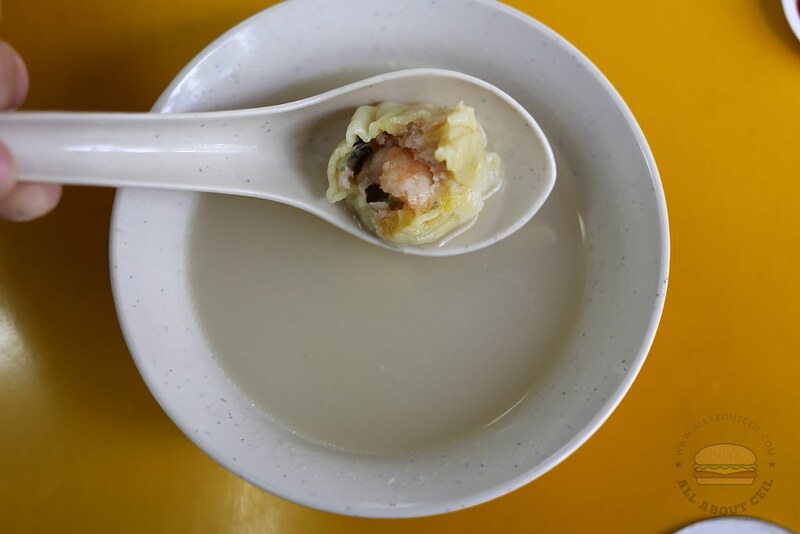 I decided to go with the Double Fish Soup ($5) consisting the fried fish and sliced fish with tofu and slices of bitter gourd. 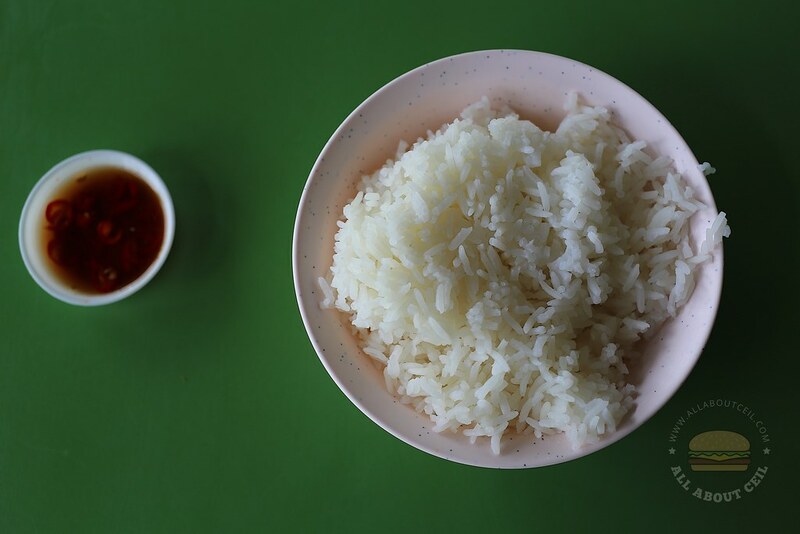 The bowl of rice is $0.50. They also serve dishes like Bitter Gourd Fish Head ($15), Sambal Prawn ($8) and Sambal Sotong ($8). 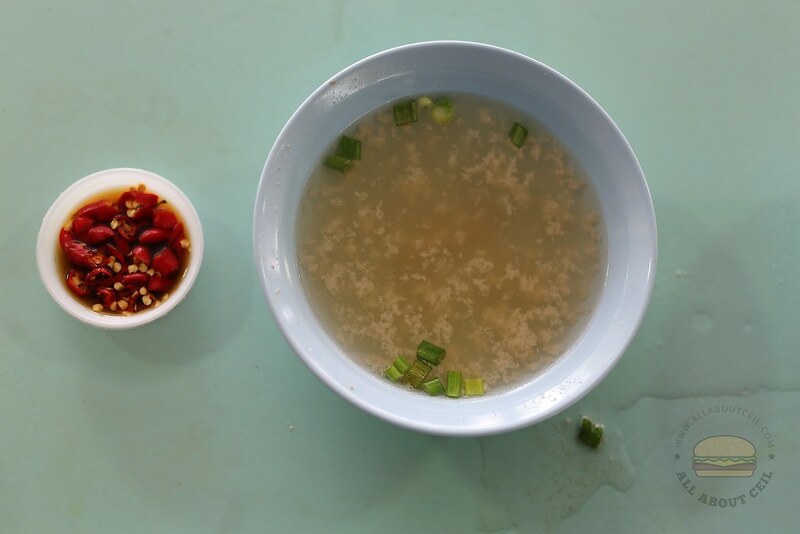 The soup was lightly flavored with pepper and fried garlic. Both fried fish and sliced fish were tasted relatively fresh. My dining companion did not exactly like it. He said he has tasted better ones. I did not find it to be particularly memorable as well. This stall has been in this coffee shop for a long while. My first visit was about a few years ago to take away half of the roasted chicken. I did not like it. I decided to try it then because the stall displayed the outdated certificate by Makansutra. Apparently, many of these stalls did not manage to upkeep their standards while still hanging on to their certificates. I decided to try it again while happened to be in the vicinity recently. There was still a short queue at about 2 pm on Sunday. 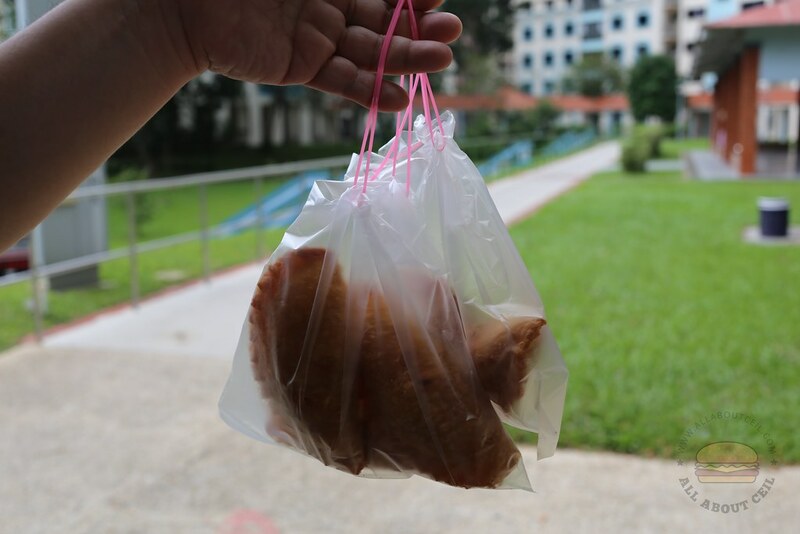 I went ahead to order Chicken Drumstick for $3.80. It was not disappointing though as it tasted quite passable. The chicken drumstick was separately on a plate accompanied by a few chunks of cucumbers underneath the chicken in a pool of soy-based sauce and few slices of tomato at the side. The chicken was tender and smooth with flavorful skin. The chicken broth infused rice was fragrant and not too greasy. It was satisfying though. I did not actually like the chilli as the ginger taste was a little overpowering. 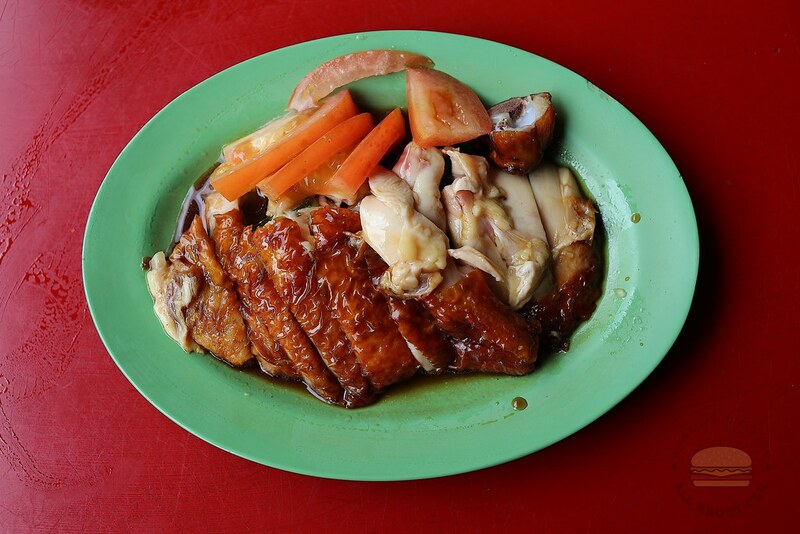 My favorite chicken rice has always been the Leong Yeow Famous Waterloo Street Hainanese Chicken Rice in a coffee shop along Waterloo Street. I have been eating there for more than a decade and liked it so much that I have even recommended for it to be listed in the lastest Makansutra Guide Book. 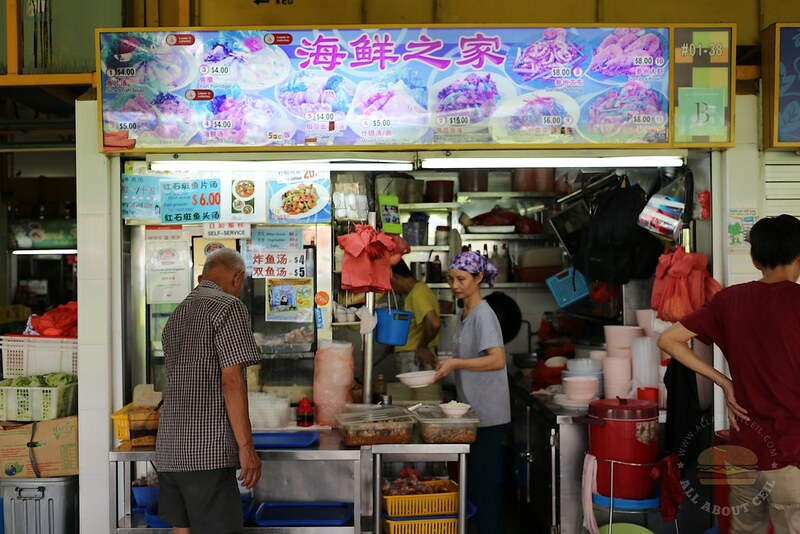 This stall is one of the pioneer stalls in this food centre that started as a pushcart about 30 years ago in Geylang selling epok epok, a Malay-style curry puff. Madam Bayah Ahmad, the founder, is already in her late 70s and has handed the stall to her son, Lokman Kassim, 42. 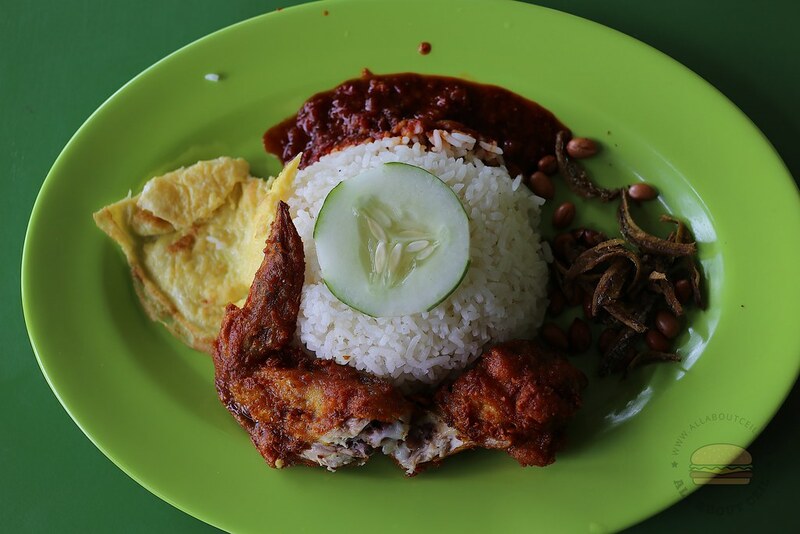 This stall also serves Nasi Lemak. There was a short queue to order Nasi Lemak when I was there on a Sunday for lunch, some of these customers took away a few packets. 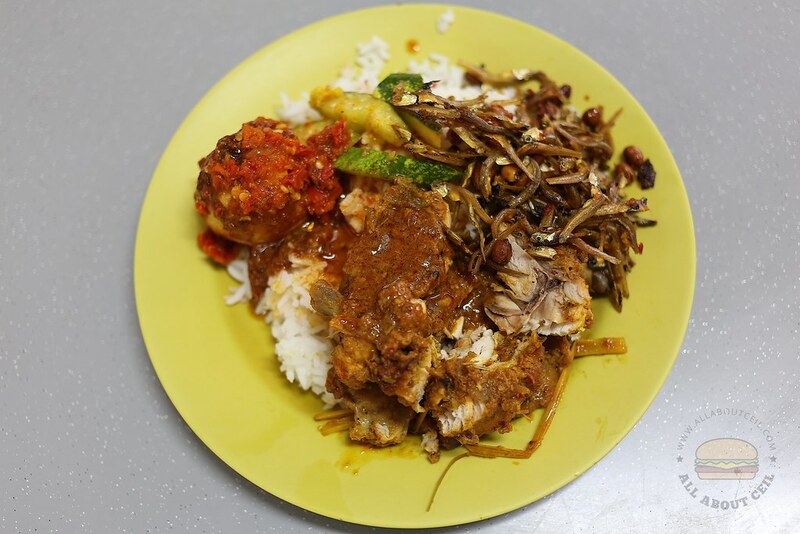 The standard order of Fish and Ikan Belis or Egg and Ikan Belis are only $2 each. When it was my turn to order, I ordered it with the fried chicken wing and it is $3.50 if I remember correctly. The coconut milk infused rice was fluffy and the chilli has got a good balance of spiciness and sweetness. The star has to be the well-seasoned fried chicken wing that happened to be freshly fried. 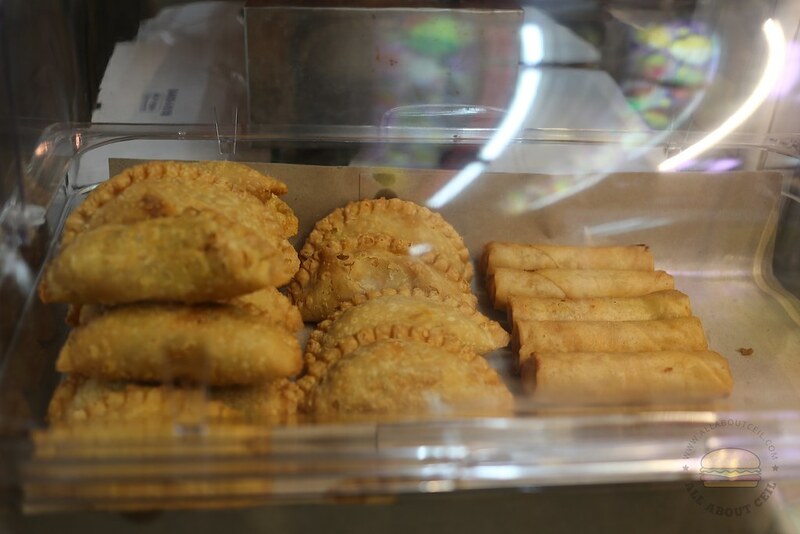 The epok epok has 3 different types of filling, potato ($0.50), Sardine ($0.50) and Egg ($0.70) using a recipe that passed down from the first generation. The small, old-fashioned, deep-fried pastries were fried well to have a thin and crispy crust, this is what makes it stood out from the others apart from the tasty fillings. It was still crispy even after leaving it for a while. The dough is made fresh and using a manual pasta machine to roll it into the right thickness before frying it in the oil at a certain temperature. There was a mixture of sardine and onions in the Sardine Puff which my dining companion did not quite like. He said, "The potato one is nicer. If I have to choose, I still prefer the potato puff at the Sweet Heart Dessert, it is much better." I have walked past this stall many times but never really thought of trying. The "probably the best Rendang in Singapore" on their signboard has managed to catch my attention though. 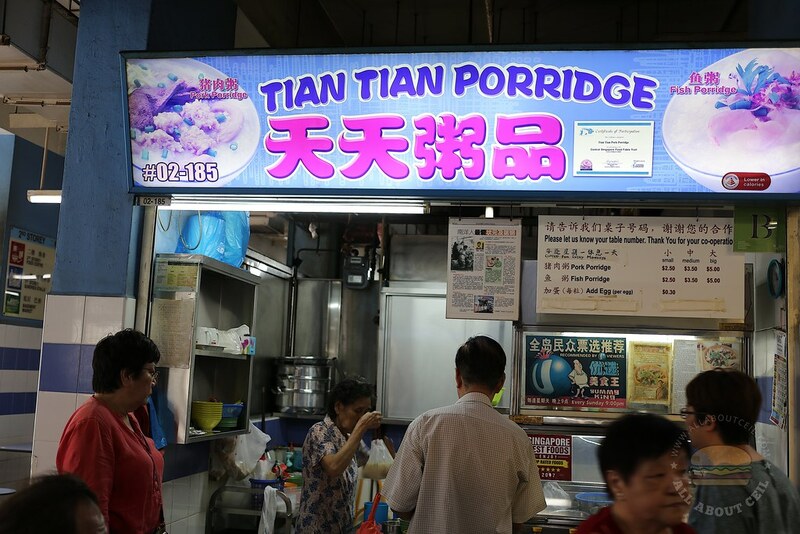 This stall used to be at Toa Payoh Lorong 2 before moving to this coffee and it has been here for a few years. 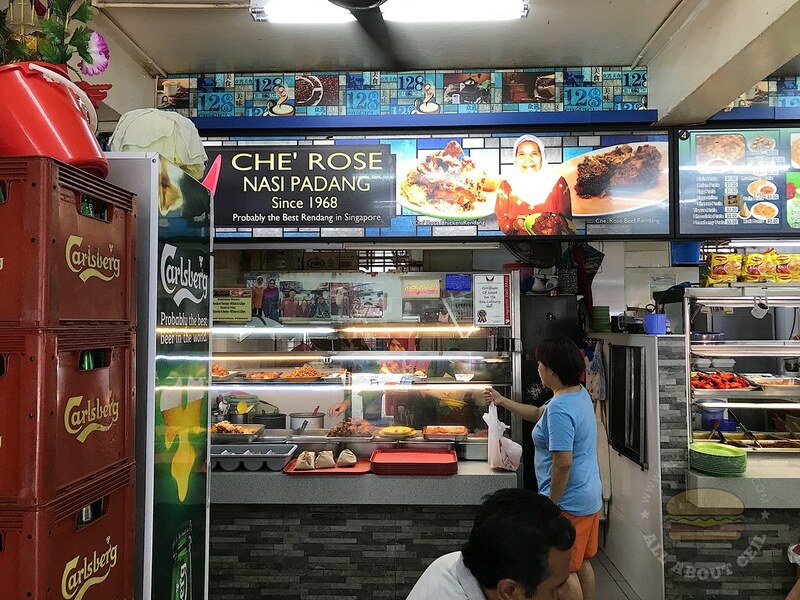 Che' Rose, the founder, has been selling Nasi Padang since 1968, using the recipes that handed down from her grandparents. Her son and his wife are planning to take over the stall. We were there for lunch on a Sunday and most of their dishes have already finished. I asked, "Chicken Rendang is the popular dish here?" The lady smiled and nodded. She wanted to give me a chicken drumstick but I asked for a bigger piece so she suggested that I should take the breast part. There were not many choices left so I went with a Sambal Egg and Ikan Belis with peanuts. She added a bit of achar, too. I paid $6.00 for it. The Chicken Rendang is the dry version, the rendang sauce is only added to the fried chicken when is about to be served. My dining companion said, "It is not bad but I do not think this is the best Rendang in Singapore." It was slightly tough as it is usually so from the breast part. 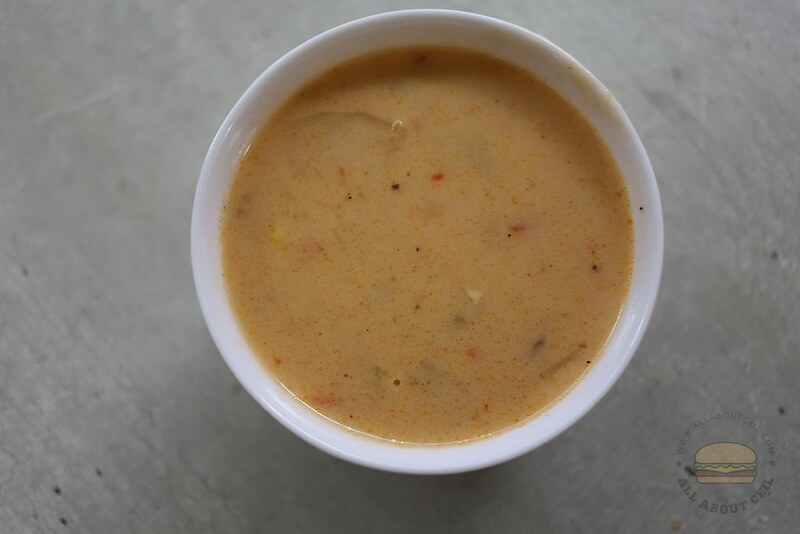 The sauce somewhat reminded me of curry sauce that has a mild spiciness. I have not tasted another Chicken Rendang to actually compare but this particular one was not quite memorable. The Sambal Egg and the Ikan Belis with peanuts were just normal. I might just come early someday to try the other dishes that were not available on that day. 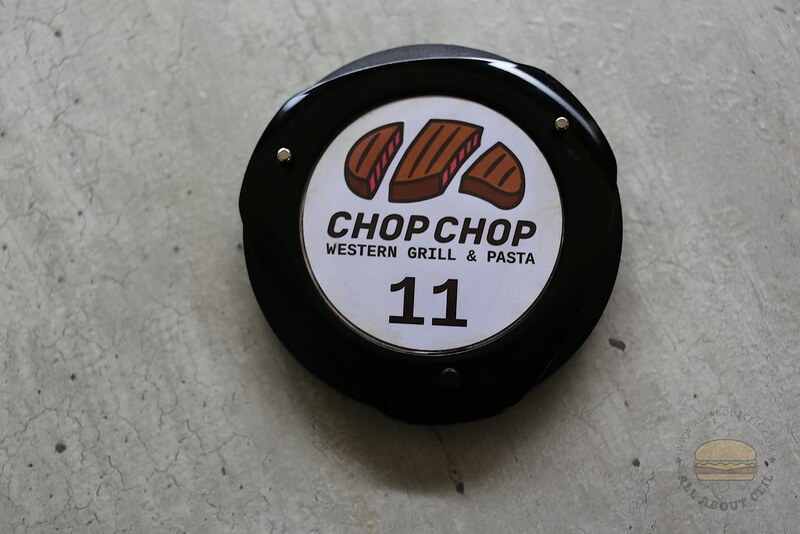 They have recently moved from Block 51 Toa Payoh Lorong 6 to the current location. I was there slightly after 1 pm on a weekday for lunch. I was told that their mee pok and mee kia have already sold out and left with just mee tai mak, bee hoon and yellow noodles. Almost all of the tables at that coffee shop were taken up at that time. I decided to go with the $5 portion of yellow noodles. There is also the $4 and $6 portion available. I was given a number tag after making the payment. I waited for more than 35 minutes before seeing my number displayed on the LED panel. 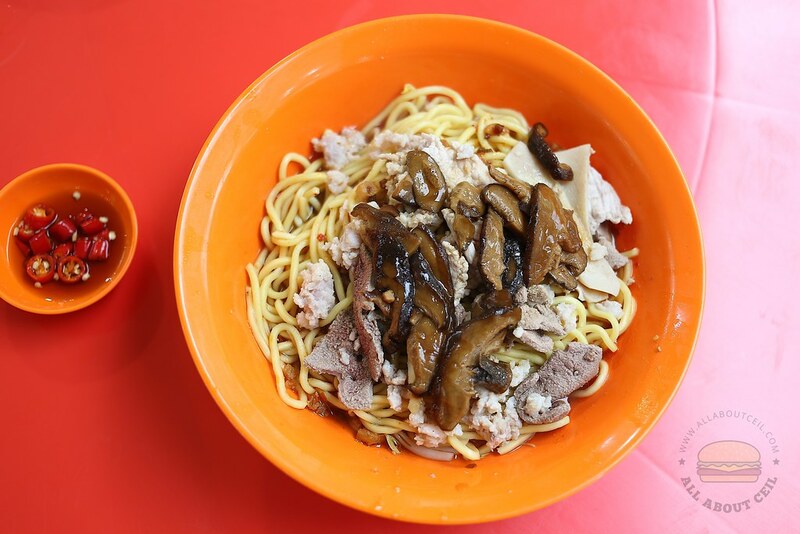 Each bowl is served with pieces of lean meat, liver, minced meat and a handful of braised mushroom. 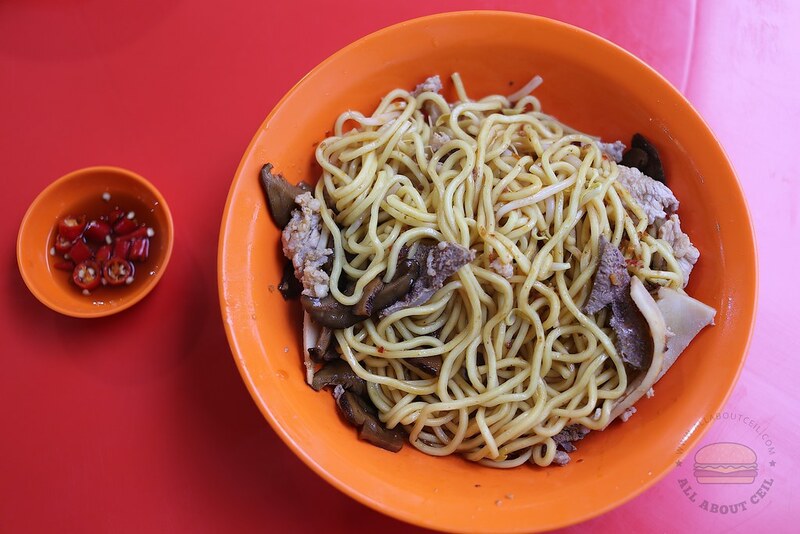 The presentation reminded me of Joo Heng Mushroom Minced Pork Mee at AMK 628 Food Centre that I used to queue for 30 minutes or so for 3 to 4 times per week before that stall closed down quite suddenly. A friend mentioned that the Uncle retired due to injuries to his hands. I have tried some of those famous Bak Chor Mee including the Michelin starred Tai Hwa Pork Noodle and Seng Kee Minced Meat Noodle but I have yet to find another one that is as good. After tossing it, the pool of watery sauce consisting the chilli and vinegar beneath the pile of yellow noodles was still there. Apparently, the sauce was too thin to be able to coat the noodles well. My dining companion took a mouthful and pushed it away right after. He said, "No. I do not like it. 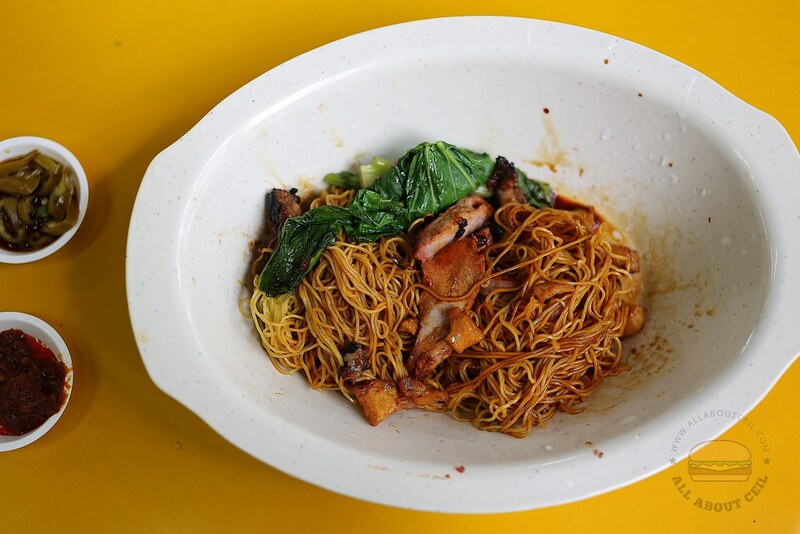 The yellow noodles do not go well with the sauce and it was also a little too spicy for me." I did not request for extra chilli to be added when ordering. The ingredients were relatively fresh, particularly the nicely cooked liver and the braised mushroom. 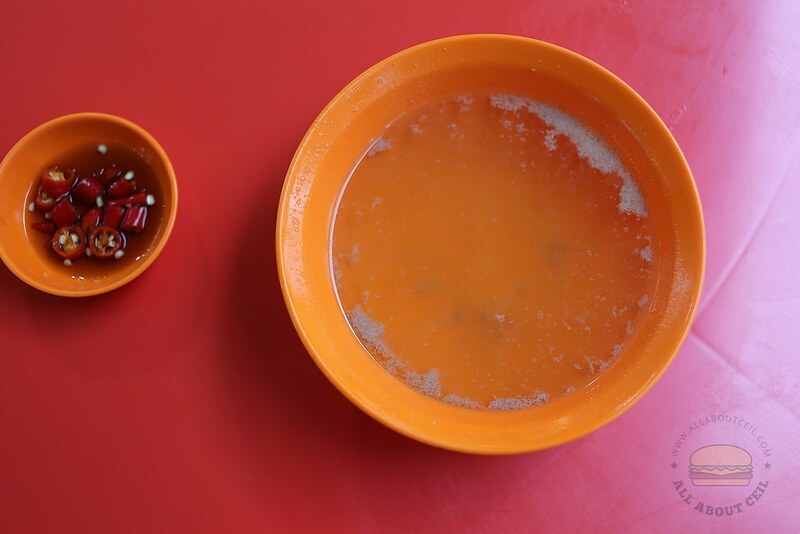 That bowl of soup was from the pot that they used to blanch the minced meat, lean meat and liver. 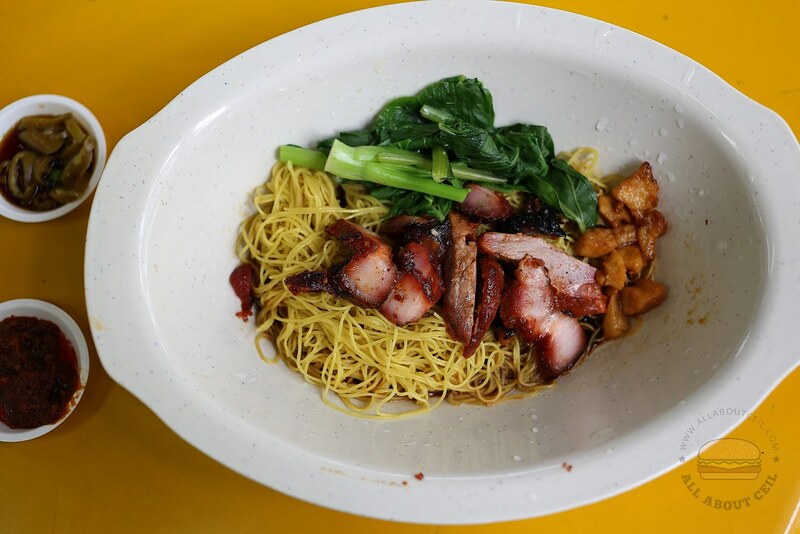 The average tasting of this Bak Chor Mee somehow did not quite justify the long waiting time. 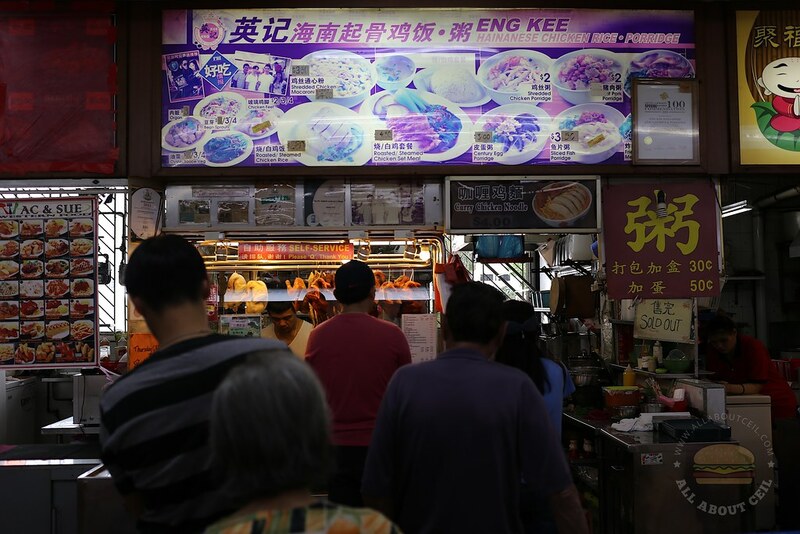 Amongst the many reasons behind the long queue of such a stall, it might not be just the food or even the service, it might also be the sentimental attachment. 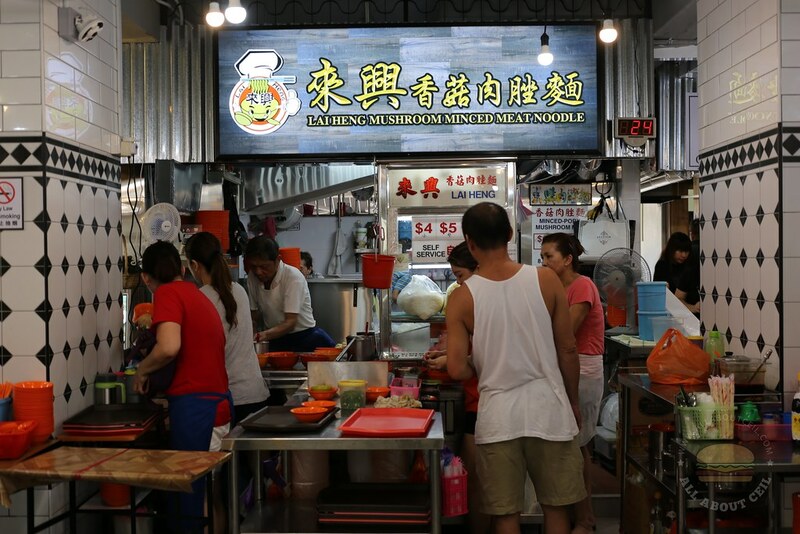 Another possible reason is this could be the best alternative for Bak Chor Mee in this area. 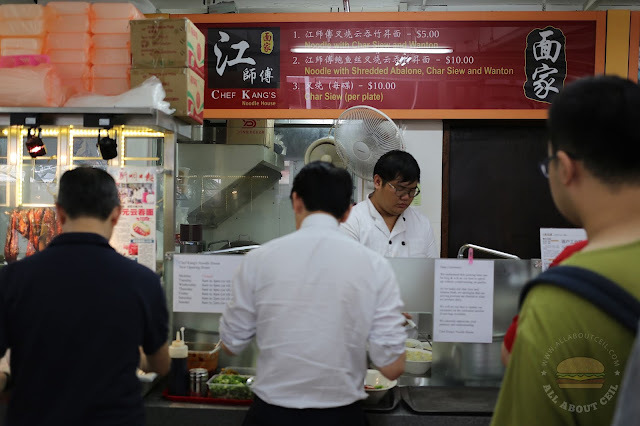 There were some suggestions found online, someone recommended that should try the Kway Teow Soup instead and other suggested ordering mee tai mak with an extra amount of chilli. I might just try it again if the waiting time is much shorter as I liked the braised mushroom.